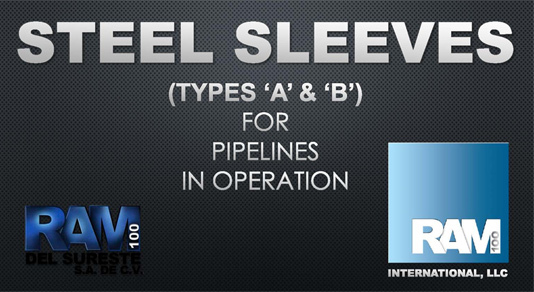 The RAMFILL pipeline repair sleeves are steel reinforcement sleeves that allow a positive traceability; they are delivered with a serial number and manufacturing order stamped in the body of each halve of the sleeve. Upon the client’s request, a material and manufacturing certification letter can be included in the delivery; this letter is issued by a certifying world-class organization, member of the International Association of Classification Societies (IACS). When agreed to with the client or specifically requested, the sleeves are delivered with a RAMFILL epoxy resin kit for corrosion protection and pipe deficiencies, and as a pipe-sleeve anti-corrosive seal. 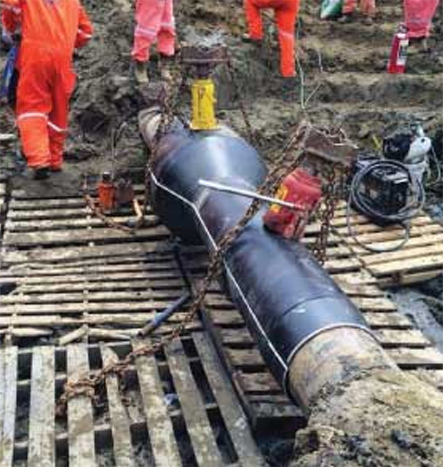 The selection of the RAMFILL epoxy resin is defined according to the type of repair required in the pipeline, taking into account the type of service, diameter, piping specification, original gauge, remaining gauge, type, origin, length, width and depth of the flaw, design pressure and work pressure. The service life of RAMFILL reinforcement systems is guaranteed for its design, quality and selection of the steel and filler materials specifications, as well as a strict quality control and testing protocols performed by third party laboratories. Service life is similar to the service life of an operating pipeline. 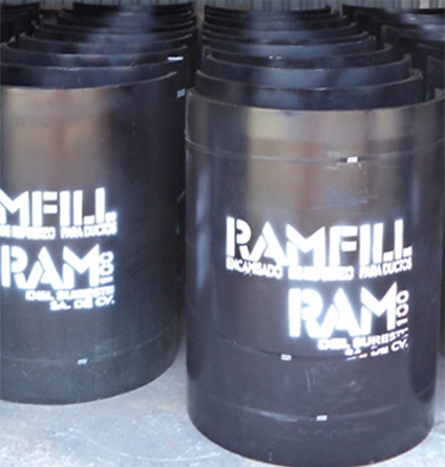 RAMFILL reinforcement systems are selected according to the type of repair required in the pipeline, taking into consideration the type of service, diameter, pipe specification, original and remaining thickness, origin, length, width and depth of the flaw, as well as design pressure and work pressure.